Megadeth. In all practicality, they are perhaps my favorite metal band. They are certainly one of the bands I review most frequently, if you've been following this blog, and with their newest release, Th1rt3en, they give me 13 more reasons to affirm that opinion. In fact, I've probably been playing this album more thoroughly than I've played any Megadeth album since Rust In Peace. If you've been reading my Megadeth posts since the inception of this blog, then you know that's saying a lot! Th1rt3en is an album that maintains a balance of rhythmic and melodic elements like the band used to do back in the mid 90's. One reason for this familiar vibe is that a couple of the songs were actually written back in that era, but never were selected for an album until now. Die-hard Megadeth fans will recognize these songs since they have appeared as bonus tracks on the Megadeth remasters as 'previously unreleased demos'. In spite of the fact that almost a fourth of this album's songs were refined from previous demos or B-sides, the way they're interspersed amongst the new material yields an impressive final product. Several of the new songs fit in well with Megadeth's recent work, as Dave Mustaine keeps his unyielding attitude and politically critical tongue focused on more current events. This time around, Dave seems to get this out of his system relatively quickly, as most of these politically-themed songs appear on the first half of the record. Other songs are based on more neutral themes you can bang your head to, even if you haven't been reading the headlines. In both cases, the songs are driven by powerful and intricate riffs; ranging from slow, methodical classic-metal to the ripping and shredding of traditional thrash. 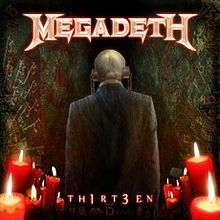 Th1rt3en sees Megadeth literally fusing pieces of their past with the present. This fact is also relevant in the band's line-up, as former bassist David Ellefson returned to Megadeth prior to recording this album. 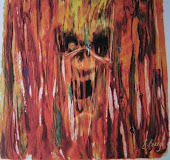 Some of those songs that are reworked demos even list former band members Marty Friedman and Nick Menza as co-writers. However, I shouldn't take away any credit from the newer members: guitarist Chris Broderick, and drummer Shaun Drover, who both execute this collection of technical thrash metal with the utmost perfection that Megadeth have become known for. Cinderella were one of those 'Hair Bands' that were really big for a short stretch of time, and it happened to be around the time I was getting into music for the first time. Long Cold Winter was their second full-length album, and featured several hit songs when I was just getting into rock and metal music. I saw the videos for 'The Last Mile', 'Coming Home', or 'Gypsy Road' on MTV almost every day. I collected their cassettes Night Songs and Long Cold Winter rather quickly. Suffice to say, Cinderella were a regular listening experience for me for a few years between 1989 and 1991. After their 3rd album, Heartbreak Station came out, the band began to run into a few problems. There was the issue of the 'Hair/Glam' metal scene losing it's popularity, which affected many of the 'Hair Bands', but even more detrimental and serious was vocalist Tom Keifer's vocal paralysis. He lost his voice to such a degree it required several surgeries to repair. 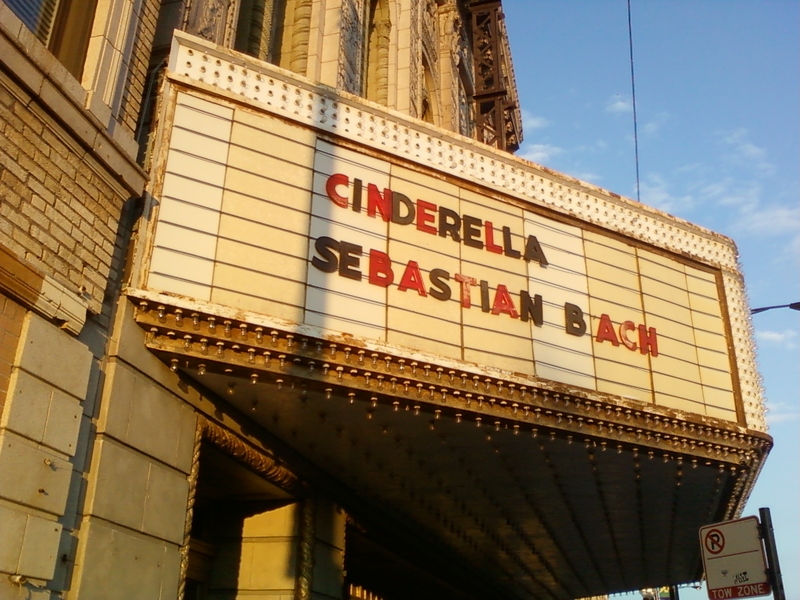 At this point I thought my chances to ever see him perform live with Cinderella might be gone forever. But Tom fought through it all, went through some therapy to learn how to sing again, and in recent years Cinderella have been touring again. This show was my first Cinderella concert. It's been a long time coming, and hopefully it will not be the last! Unfortunately, Hessler were already in the middle of their set when we arrived, but the songs I heard were more familiar this time around. We got there just in time for them to play 'Shark Attack', already a favorite of mine. They incorporated synchronized headbanging as part of their performance of this song, and Igz Kincaid rocks his shark-bodied guitar. Just like before, they were energetic on the stage. More than just playing their songs, they look to put on a good show. They closed their set with the Chicago-crowd pleasing 'Windy City Wild Child'. He wasted no time getting straight to the metal as he opened with the thrasher 'Slave to the Grind'. The friend I brought along was also a big Skid Row fan, and we were enjoying this part of the show all the more. Overall, I found his set list to be very similar to when I saw him several months ago, but a bit shorter. Understandable, since this time he wasn't the headliner, but still, I would have liked at least one or two songs I hadn't heard before. Nonetheless, he put on a killer performance of the songs he did play. The only hitch was where he stopped the show to kick a guy out from the crowd (again, just like last time!) My other friends who were closer to the action said the guy was directing rude gestures toward Sebastian Bach, and he apparently was not going to take that. The show went on, and he played all the classic Skid Row stuff ('18 and Life', 'I Remember You', 'Youth Gone Wild'), plus a few songs from his 2 recent releases Angel Down and Kicking and Screaming. Like I said, it was a great performance from Bach. His voice is every bit as good as it ever was. One of the best vocalists from the 'Hair Metal' era, bar none! 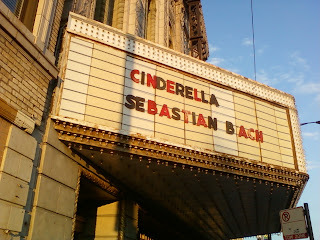 When Cinderella took the stage it felt like years were rolled back. 20 years after the last time I bought one of their albums, and I was finally seeing them live! They opened up with an older, heavy song- 'Once Around the Ride'. After a couple songs form the Night Songs album, they mixed it up with a little blues, playing 'Heartbreak Station'. They played a bunch of songs from their first two albums for the majority of the show. 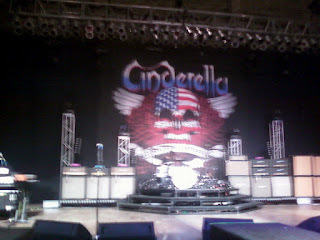 Mainly, I was relieved to hear that Tom Keifer's voice was still there- almost as good as I remember from my CDs. He proved he was a versatile musician as well, playing electric and acoustic guitars, piano, and even saxophone at different stages of the show. I really hope he can continue performing for many years to come. It was a nice bit of nostalgia, but if Cinderella get around to making new music again, I'll be first in line to hear it! In mid-August, another round of polling closed and your votes have determined who won and who lost in the first half of the Sweet Sixteen of Heavy Metal Madness! It was exciting to see the results unfold, as once again there were upsets, and close matches that came down to the last couple votes on the last day of polling. and MEGADETH came from behind to beat JUDAS PRIEST 27-25.
and DISTURBED pulled a dominating upset against AVENGED SEVENFOLD 26-18! Don't miss your chance to vote in the next round!